Lovely venue for shopping for Christmas treats and meeting Santa. 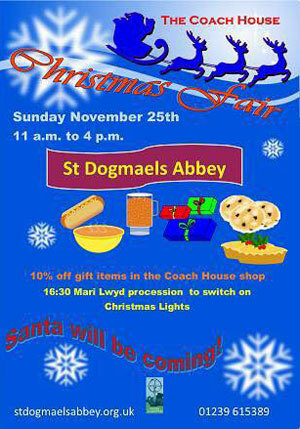 Find gifts, mulled cider, hot food and mince pies. Cardigan-Bay.com is the new responsive website for www.cardiganshirecoastandcountry.com which has been providing information on Cardigan Bay since 2000. You can now enjoy the site on your tablet or mobile phone.